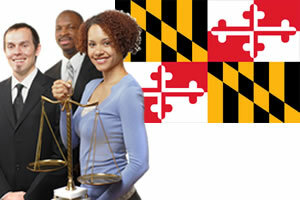 Below are basic Personal Injury laws for the state of Maryland. It is possible that your case could differ slightly than the examples given below. Complete our free evaluation for more information regarding personal injury and if you are needing guidance from an experience Maryland lawyer. All Maryland personal injury claims should be filed in a timely manner. For a negligent conduct personal injury claim you have 3 years. You also have 3 years to file fraud, wrongful death, and product liability claims. You have 5 years to file medical malpractice claims. And 1 year to file a libel and slander claim. No fault rules are for filing car accident lawsuits. You can only file a lawsuit for sever or serious injuries and collect compensation for lost income through your personal injury protection types of insurances. This rule goes in accordance to Marylands contributory negligence rule. This rule specifies when a plaintiff can sue. With this rule, if you contributed to the accident in any way at all then you cannot sue the defendant. It doesn't matter if the fault was 95% plaintiff and 5% you, you cannot sue. This type of negligence of course needs to be proven, it is possible with an experienced Maryland attorney on your side you can prove zero fault. Are there Damage Caps in Maryland Injury Law? Non economic damage caps related to medical malpractice have risen to $725k and increase $15k every year. The damage cap rises to 125% of the original cap if it is a wrongful death action which involves more than 1 claimant or beneficiary.